The common name crab spiders brings to mind an arachnid with a round body surrounded by four pairs of legs. It’s a physical description that mimics the look of a crab. 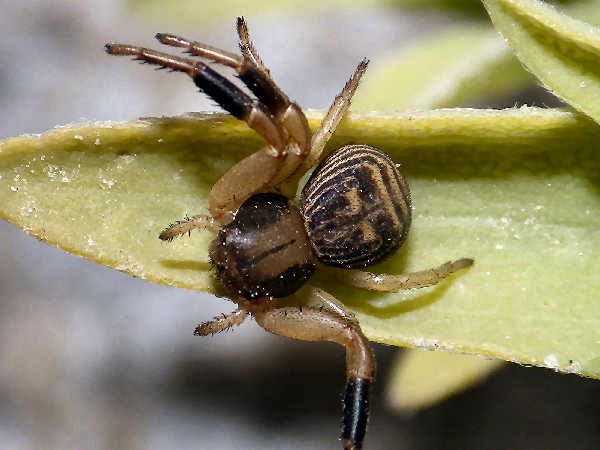 That initial visual serves as a generally good descriptive starting point for three North American spider families that have crab spider as a common name. Crab spider pictures represent the best tool for spider identification help. Depending on the source, the family Thomisidae consists of around one hundred and thirty species, divided into at least ten genera. Because their range extends across the entire United States, species from three of the genera, Misumena, Misumenoides and Mecaphesa, are highlighted in this guide. 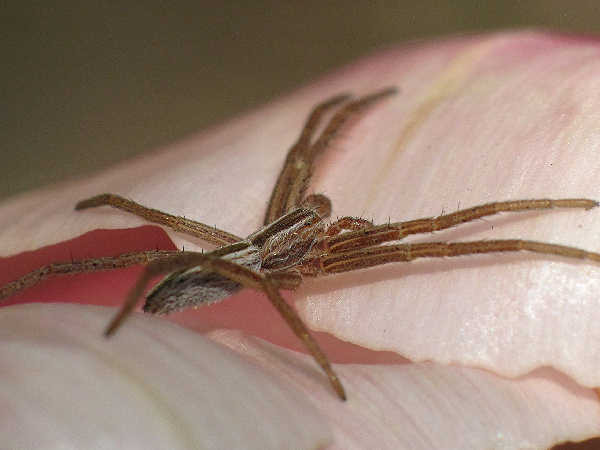 After all, there’s a high probability that at least one of these spider species, often collectively called flower spiders, inhabits the average backyard flower garden. Many individual specimens across the three families share a similar body color pattern, i.e., white bodies with red stripes or green stripes, yellow bodies. Therefore, it’s important to note that crab spider identification for these three genera relies primarily on eye pattern. Having a good macro lens for the camera is all it takes to start the identification process. 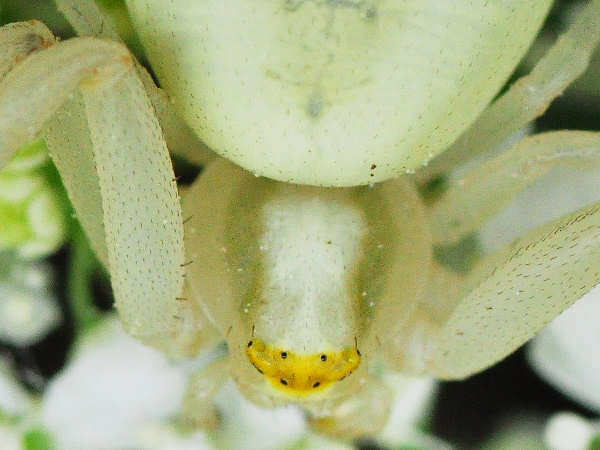 The name flower spider formally applies to the Goldenrod Crab Spider (Misumena vatia). Females are typically three times larger and consequently receive more noticed than the male. The top picture highlights the spider’s eye characteristics. Normally when viewed from the front and top angle, all eight eyes will show up. 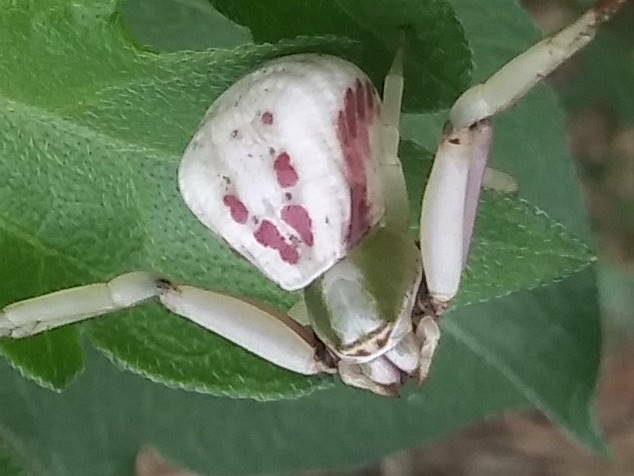 Picture two, the Whitebanded Crab Spider (Misumenoides formosipes) highlights the fact that color name does not always apply. The eye pattern from a front and top view shows six eyes. 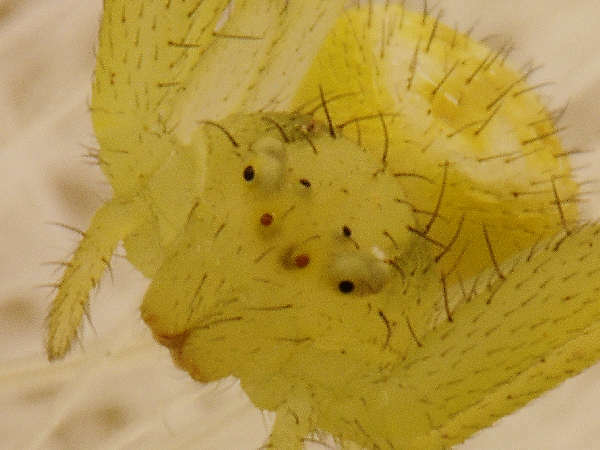 Mecaphesa or Misumenops, also called the Hairy Crab Spider often have a white or yellow body. They somewhat resemble the whitebanded crab spiders, however their bodies are hairy. From a front and top picture of the spider, six eyes appear. No crab spider builds a webs, rather they rely on their small size and color to hide on either flowers or plants (depending on their body color) waiting for their potential prey to visit. The duller color species sit close to the ground or on bark or branches. 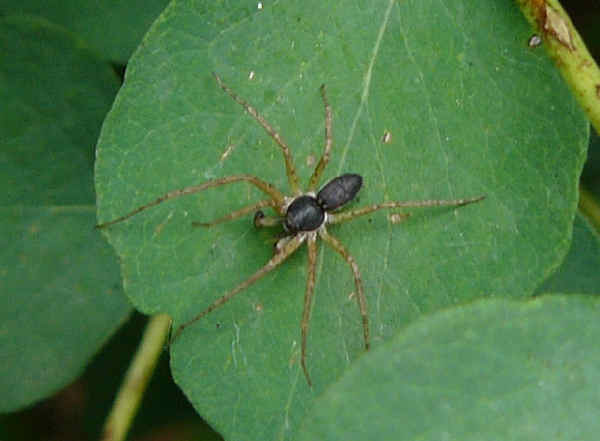 The picture shows a species in the genus Xysticus. 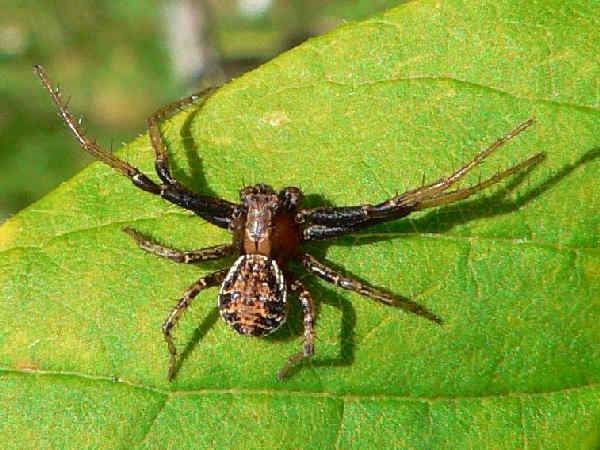 Over three dozen different Xysticus genera have been recorded, and at least one of the species inhabits residential areas in the United States. Here’s a slightly different body pattern for the Xysticus. It’s common in the Midwest and Texas. In comparative terms, less color variation in running crab spiders correlates nicely with their need for less camouflage when hunting compared to the camouflage needs of flower spiders. 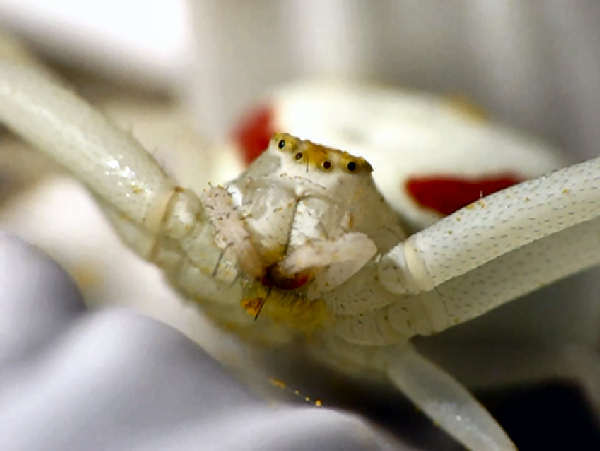 Species in the genus Tibellus go by the name Slender Crab Spiders. One particular species, Tibellus oblongus, has a range that extends across most of the United States. The long, thin body explains the slender part of the common name. They often bask on leaves or flower petals. Apart from the physical difference, both families are hunting spiders, albeit with different hunting strategies. Running crab spiders, more often than not, tend to chase prey while crab spiders (flower spiders), more often than not, tend to perch typically on flowers and leaves, and wait for prey. Of course there are variations to these general rules. It’s not impossible, for example, to find a running crab spider sitting on top of a flower. The name speaks for itself. Giant Crab Spiders, family Sparassidae, can grow up to four inches in length. A few introduced species inhabit the warmer areas of North America, including Florida and Hawaii. They also go by the name huntsmen spiders, and their above average size along with their propensity to wander into residences and cars, often causes extreme bouts of anxiety to the average arachnophobe who crosses paths with it. 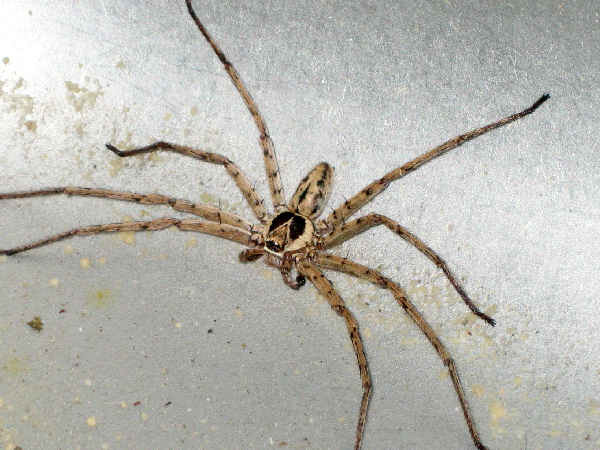 All spiders bite, including Sparassidae. However, they are not listed as a spider of medical concern.